One of our Christmas traditions is opening up pajamas on Christmas Eve every year. 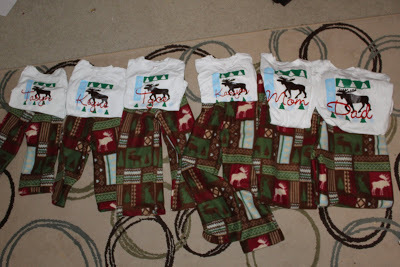 This year I wanted to have matching pajamas. 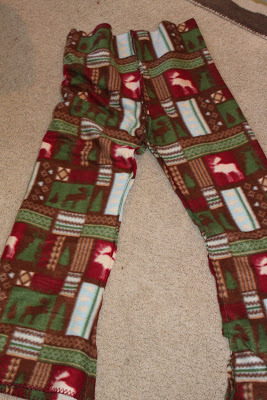 I really didn’t want to make them because I’ve was afraid of making the pajama pants. So I looked to see if I could find some. I did, but there were going to be at least $9 each. Times that by 6 and it would cost $54 just for pajamas. Not worth it to me. So I decided to tackle my fear of sewing pants and made some. I’m so glad that I did too because I really like how they turned out! 1) I took a pair of my pajama pants and folding them. 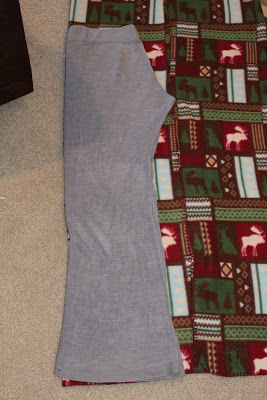 Then I folded the fleece and cut out the shape of the pants. 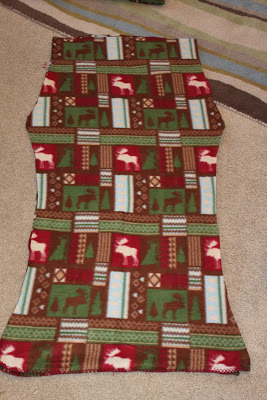 I cut the fleece 1 inch larger than the pants and 3 inches at the top (for the elastic). Here is what I looks like opened up. I did this twice. 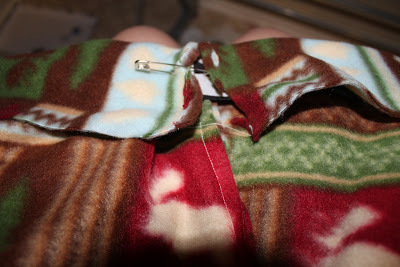 2) I put the two pieces together, fronts facing each other and then sewed just the crotch. Here is a picture of the crotch sewn up but not the pant legs. 3) I then sewed the pant legs together. 4) I folded the top down and added the elastic. I sewed the flap down. 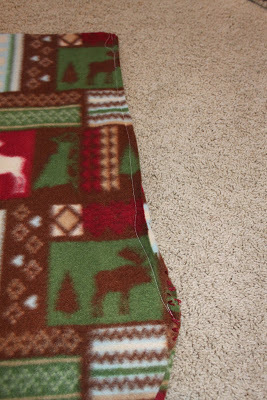 5) I then sewed the elastic together. 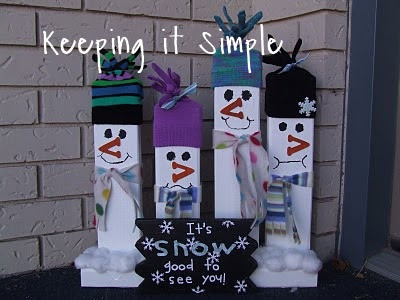 That may have seemed confusing, but they are super easy to make!! 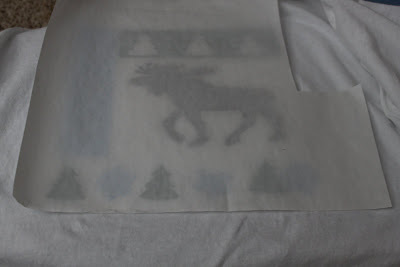 6) I took my trusty CAMEO and cut out some heat transfer vinyl from Expressions Vinyl. I used colors brown, green, red and pale blue. For the trees and snowflakes, I used both the shape and the outline of it. 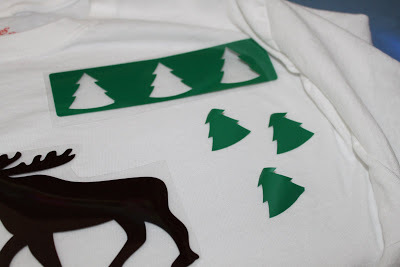 7) I placed all of the shapes onto the shirt. 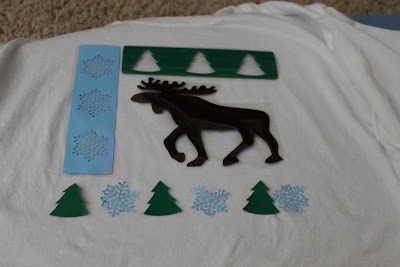 8) Because the snowflakes and trees didn’t have plastic, I used the multi use paper to iron it on. And now I have matching and personalized pajamas! I love your Christmas pajamas! Very nice tutorial! Thanks! Great idea!! 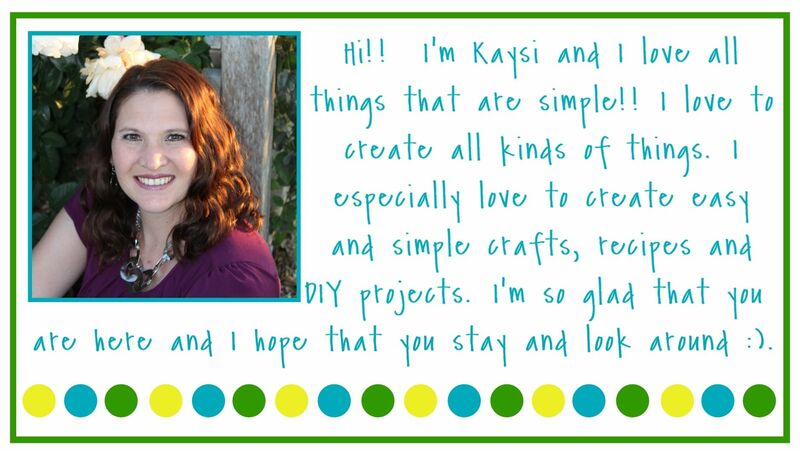 I found your link after mine on Sugar Bees. Darling project. Thanks for sharing! How fun! 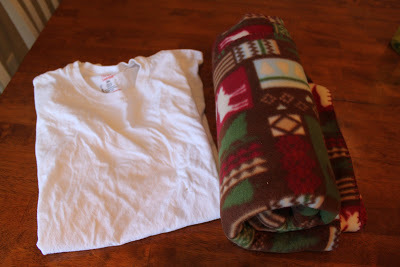 I've finished pj's for my girls, but still have to make some for my son. I love this!!!!!! 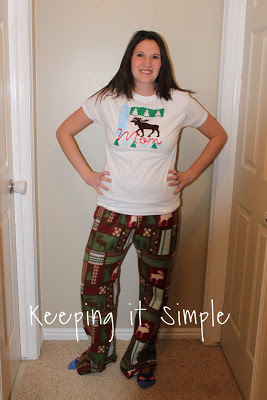 I always do pj's I would love to make them this year! Those look super comfy! 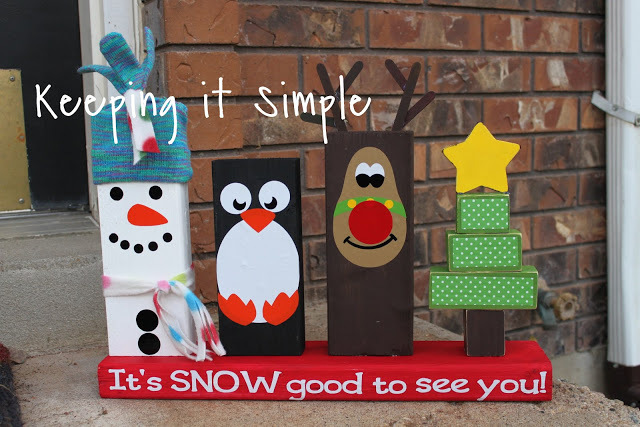 What a fun idea for your family! I like that you made sleep shirts too! 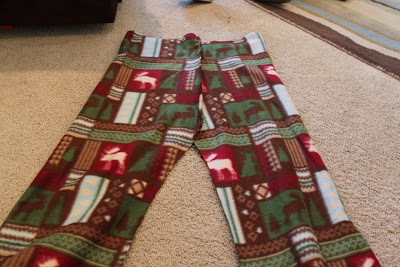 This year I sewed fleece PJ pants for all of my nieces and nephews for Christmas. I slipped in making a new pair for myself too. Great job!! 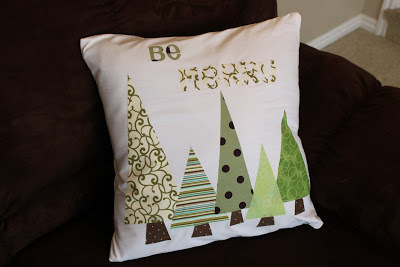 Would love to do these for my family as our "Disney" surprise but I am running out of time!! Must put on my "to do" list – I think i can, I think I can!! Thanks for linking these to Fabulous Friday! They are super cute. 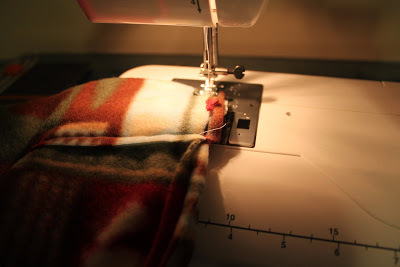 My kids have tons of blankets that they never will get rid of but I bet they would let me make some pants out of them for bed. Then I wouldnt have a million blankets around the house!